Is Your Deck Made of Hardwood? Beautifully cleaned and sealed ipe deck! Beautifully cleaned and sealed Purpleheart deck! Does Your Deck Need Stripping? removed from your deck, fence, or outdoor furniture? We specialize in tough finish removal. Building decks with hard woods like ipe (e’pay), cambara, mahogany, Pau Lope and purpleheart, has become increasingly popular among homeowners. Accordingly, the wood’s durability, resistance to decay as well as to insect attack weighs heavily in the deck building decision. Despite being challenging to install (cut, drill shape etc.) because of the density and hardness associated with exotic hardwoods, it’s still a really popular choice. Actually, ipe wood is so heavy that ipe it will actually sink in water! Regardless, these beautiful decks still need care, and services like ipe and mahogany deck washing and sealing are an important part of maintaining your investment. 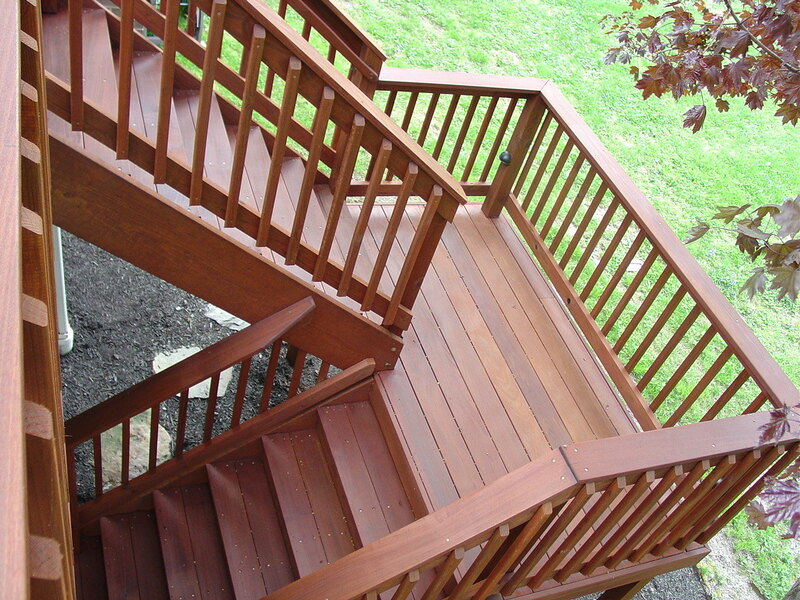 It’s a fact that ipe, cambara, and mahogany are used more commonly for decking material because of their durability. Interestingly, teak and balau are used mostly for outdoor furniture for decks and patios. Some furniture companies are also producing outdoor furniture made from ipe and cambara. Still, those who want the ultimate outdoor space understand that mainteance has a cost. 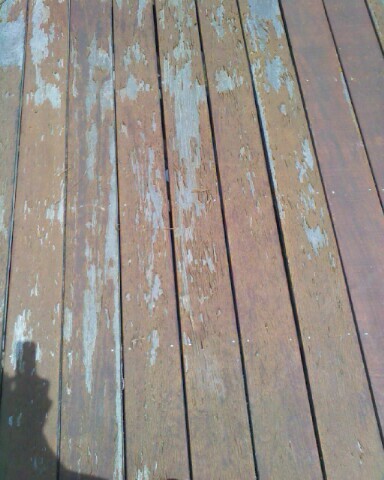 The washing and sealing of decks built with these woods requires special attention and knowledge of the wood. Just because ipe is a hardwood, does not mean that ipe deck washing and sealing can be done by a novice. Unfortunately, if the incorrect product is applied to hardwood the results are disastrous and expensive to fix. Hardwoods are dense in structure and require different maintenance than softer woods do. Regardless of the product applied, sealers will not last as long on ipe as they might on a PT pine deck, due to the lack of porosity. For more stunning examples of our work, visit our photo and video gallery to view photos of our work. We also feature video testimonials from our clients, who will tell you firsthand about their experiences with our ipe deck washing and sealing services. We also have a testimonials page you won’t want to miss. There are plenty of photos of ipe deck washing and sealing as well as photos mahogany washing and sealing, and of course teak washing and sealing. Consumers need to be aware of the VOC changes that went into effect in 2005. These changes have had an impact on the coatings industry, and on product performance.The science of wood care is ever growing and we’re constantly keeping abreast of current wood care technology advances that enable See Dirt Run!™ Inc. to continue to provide you with the very best in expert and knowledgeable service every time! 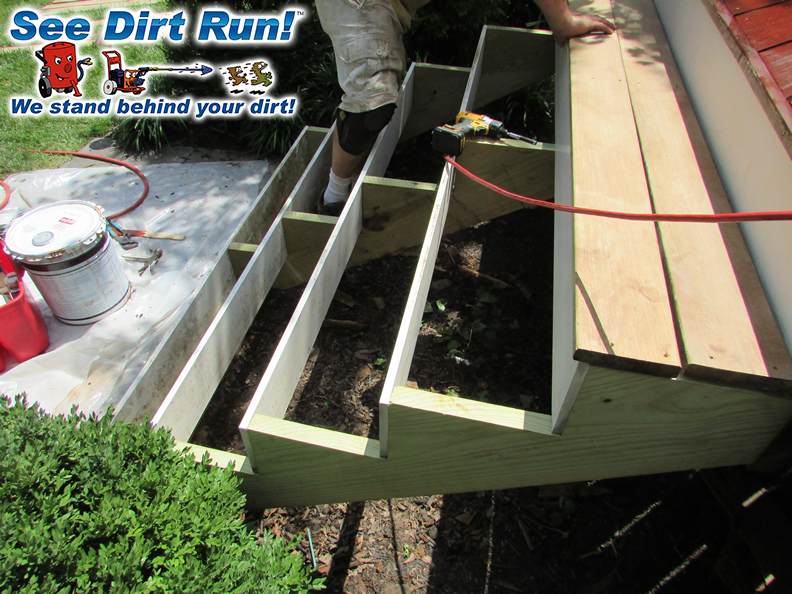 Ipe deck washing, mahogany deck washing and other hard wood deck chemical stripping, low pressure maintenance washing, sealing, staining, repair and installation work, and low pressure house washing for vinyl and aluminum siding are limited to parts of Maryland and Northern Virginia. We work on all species of wood including: Pressure treated lumber, pine, douglas fir, cypress, cedar, cambara, ipe, mahogany, purple heart, oak, teak, redwood, balu, Brazilian cherry, and more.